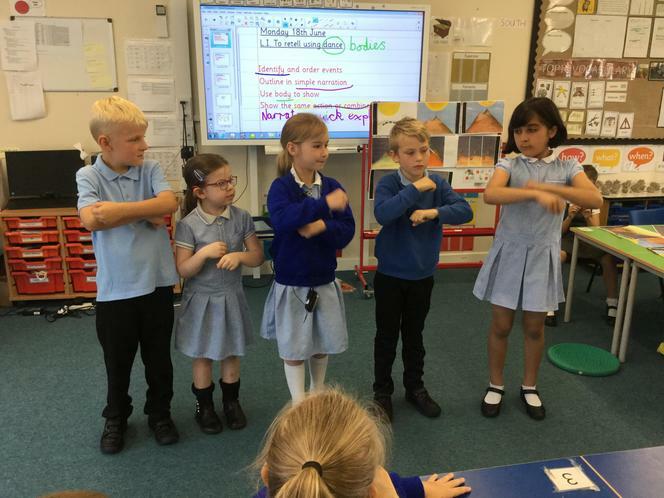 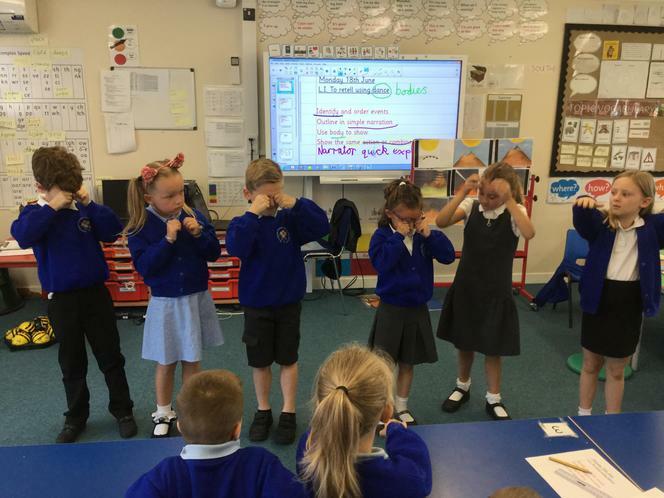 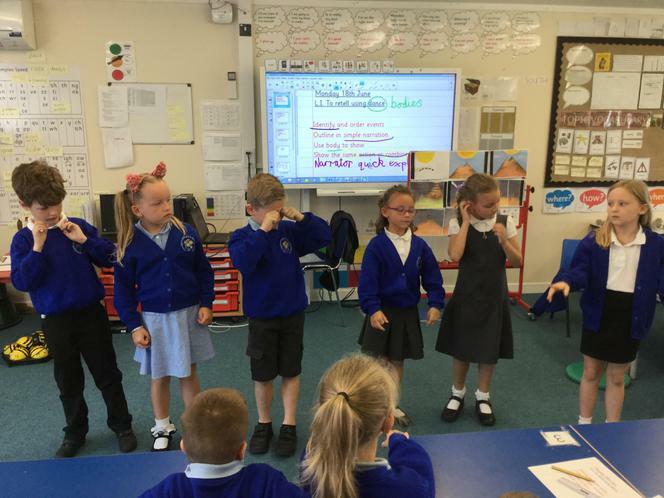 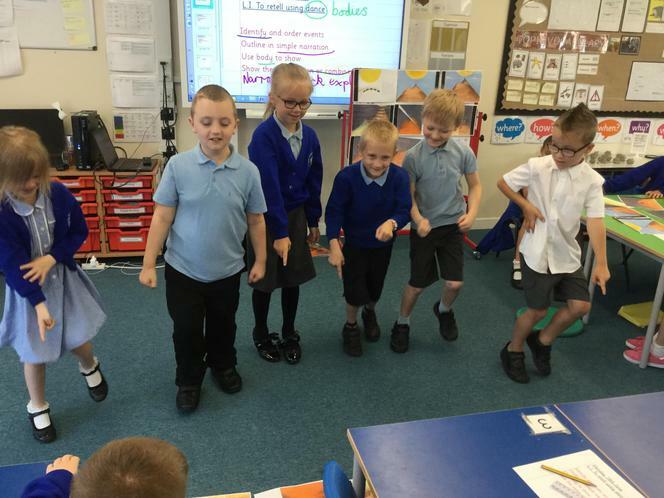 Using dance moves in groups we practised and then performed the series of events from ‘Lila and the Secret of Rain’ that lead up to the thunderstorm. 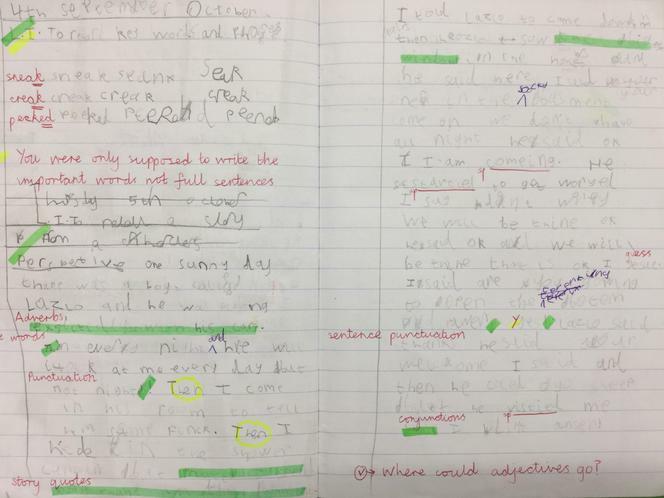 We used story events as well as inferences to write in role as Lila from our class story ‘Lila and the Secret of Rain’. 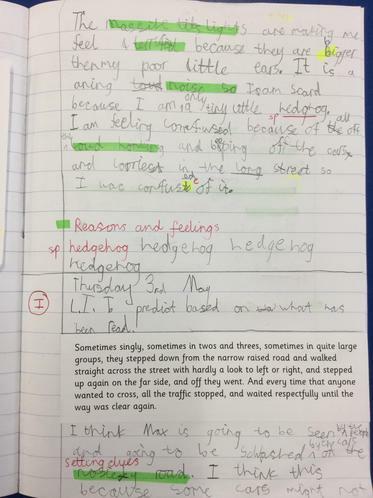 After finding a hedgehog habitat in the playground we started our new book in class ‘The Hodgeheg’. 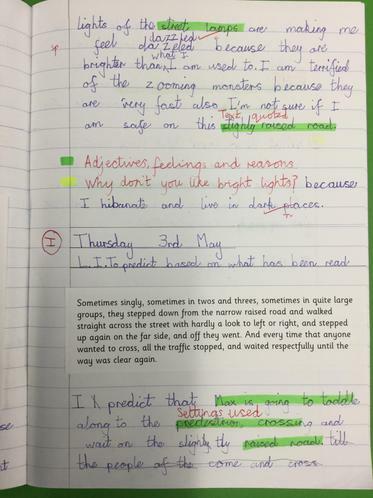 Max was looking at ways to get safely across the road but he didn’t like all the loud noise and bright lights coming from the cars. 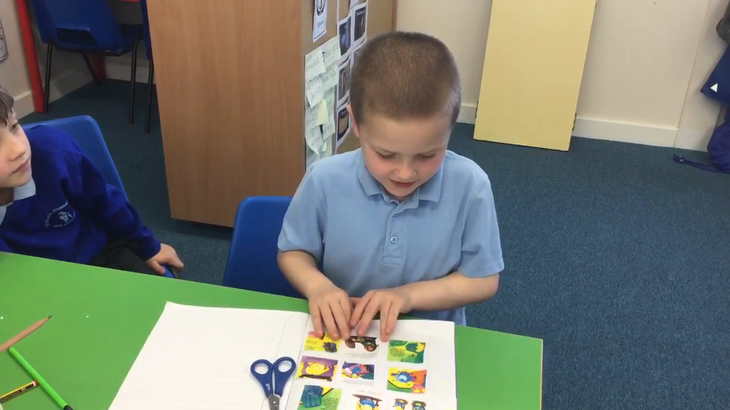 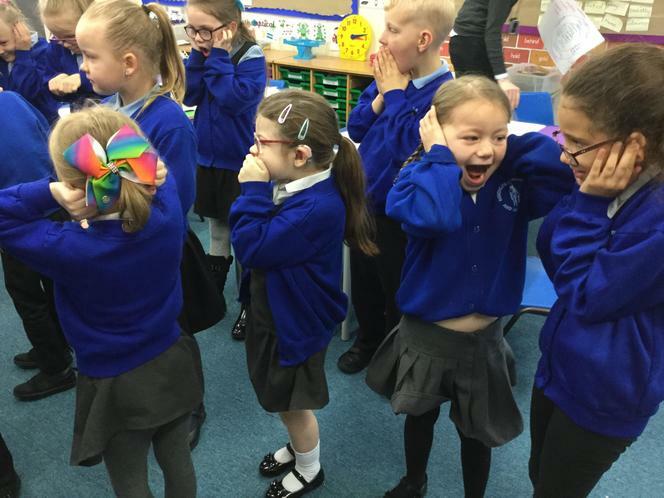 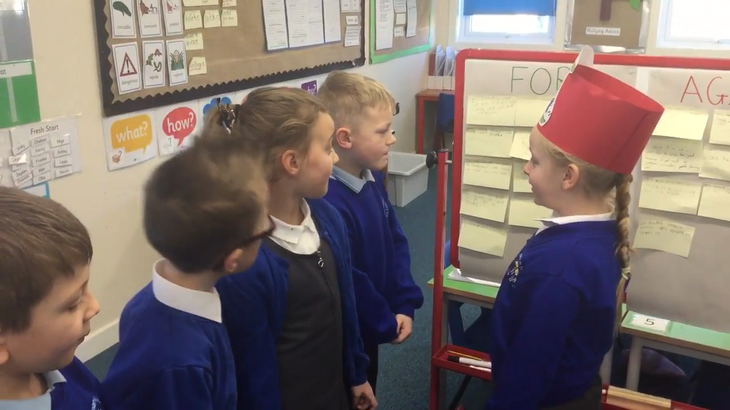 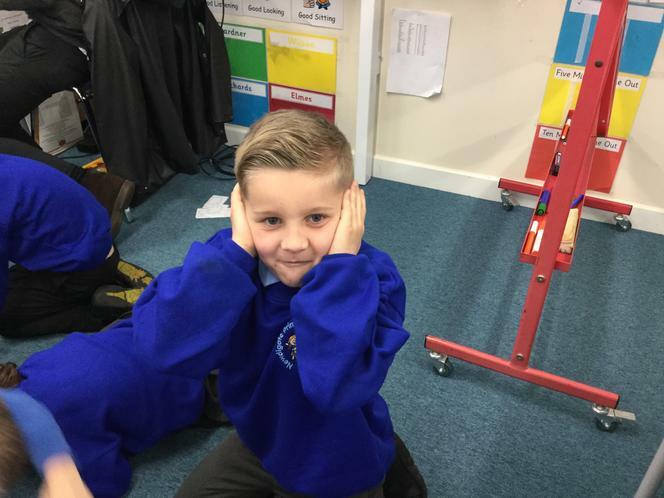 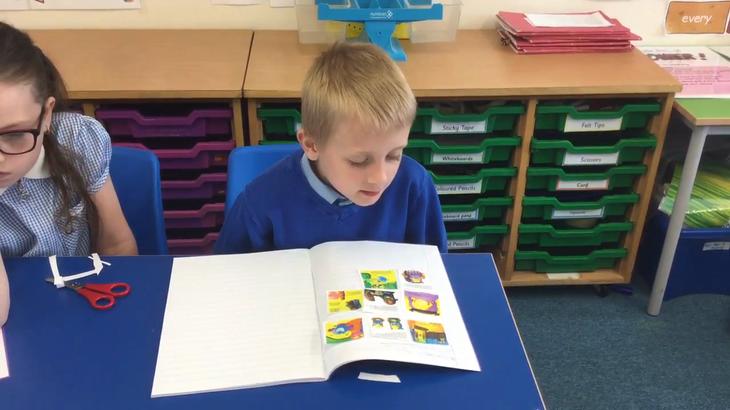 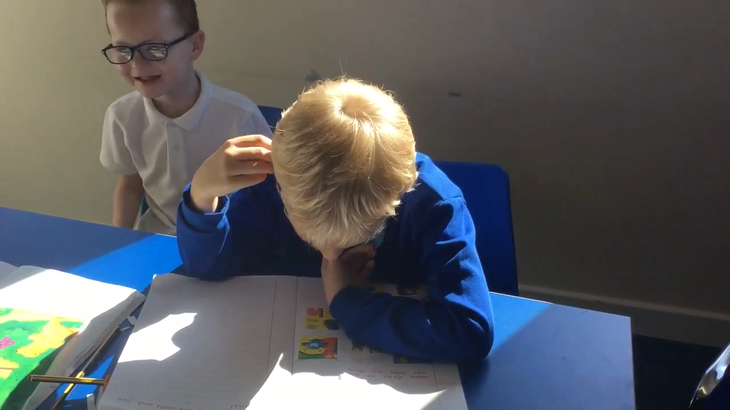 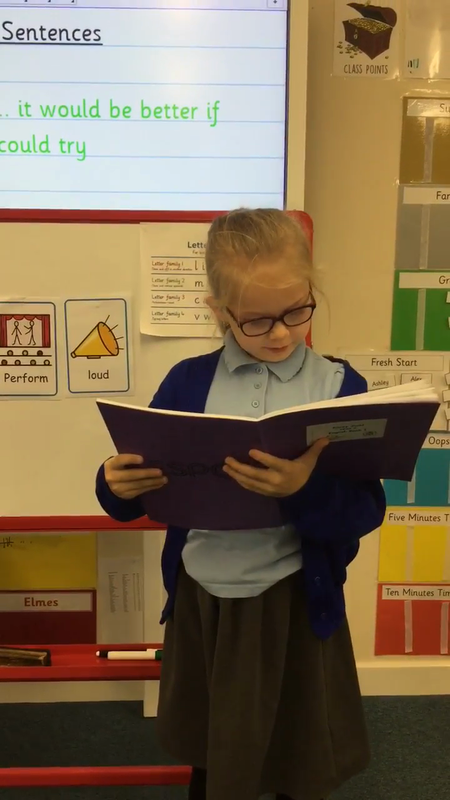 We role-played as Max listening to similar sounds before writing how we were feeling and why. 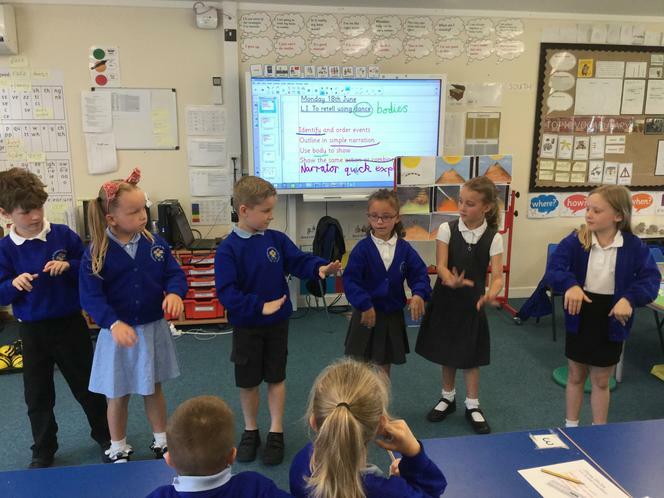 We sequenced and retold the story of Goldilocks using expression, time words and exciting word choices to keep our partners interested. 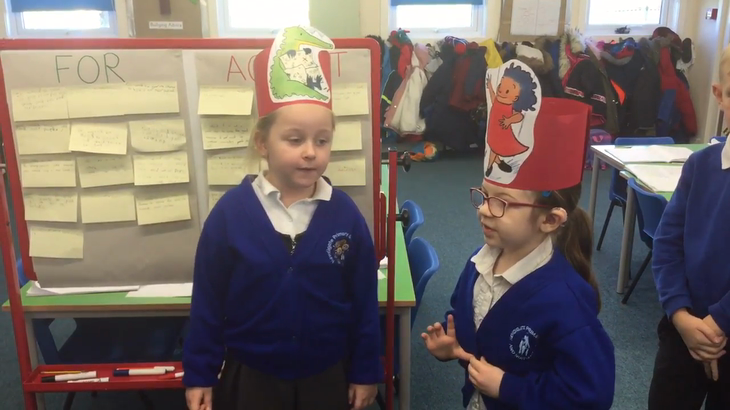 After that we compared it with the story Goldilocks and Just the One Bear. 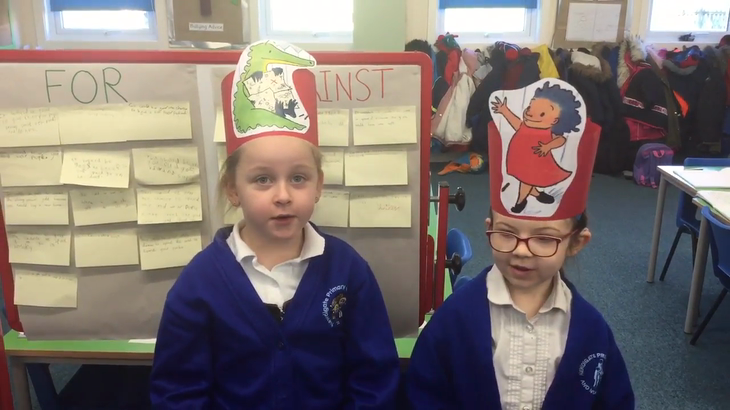 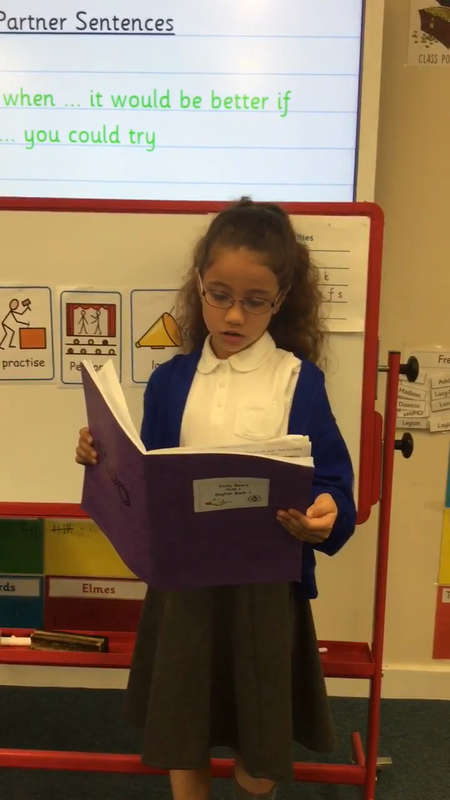 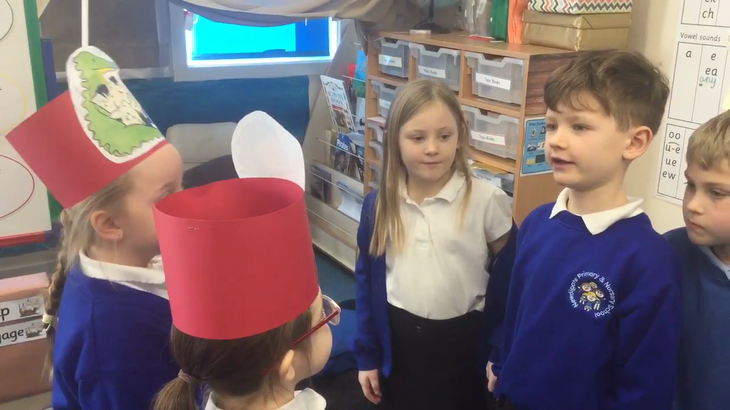 Then we changed the story slightly and retold our own versions. 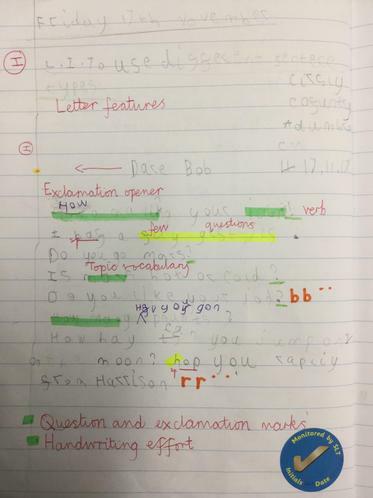 We used purple pen to check our Punctuation and spelling. 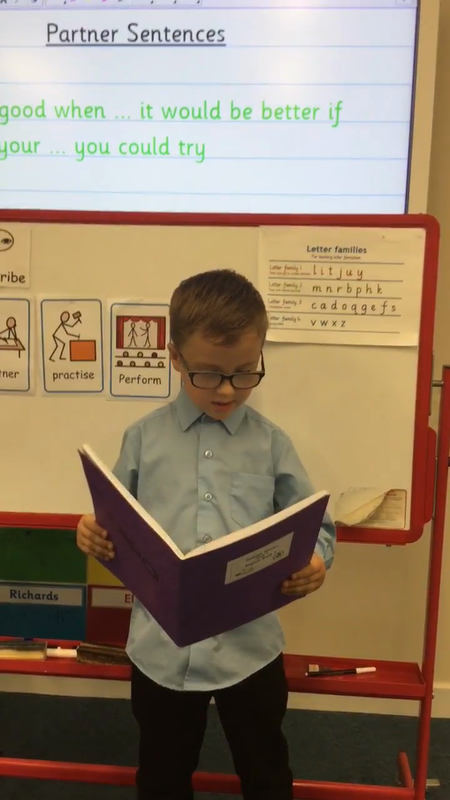 For World Book Day we had a special visitor and we looked at the story Matilda. 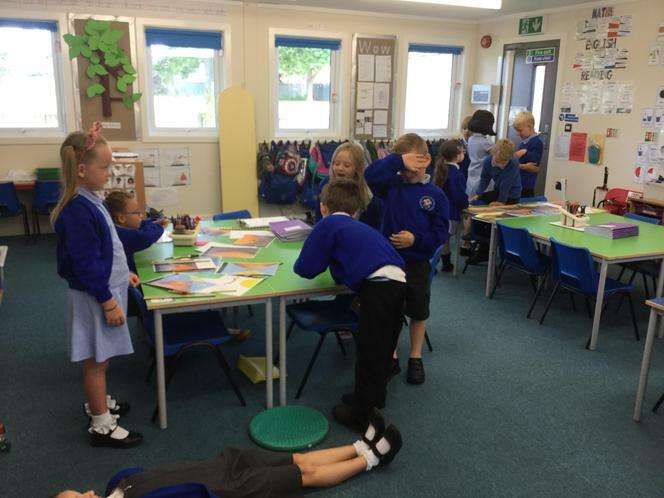 We had to act out parts of the story and show the emotions and personalities of some of the characters. 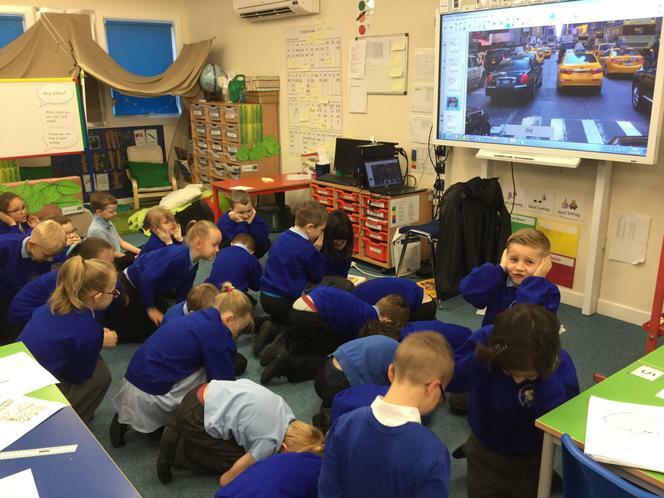 At the end we all got some chocolate cake! 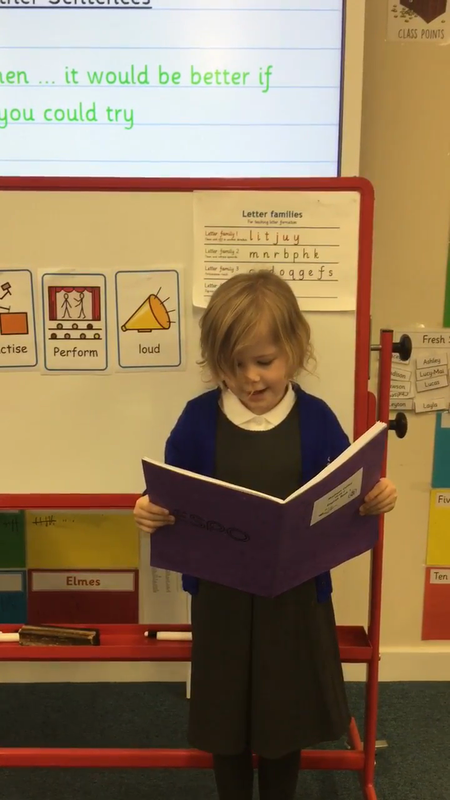 To start our new book we examined the leaves and twigs in the reading corner and decided that it was an animal habitat. 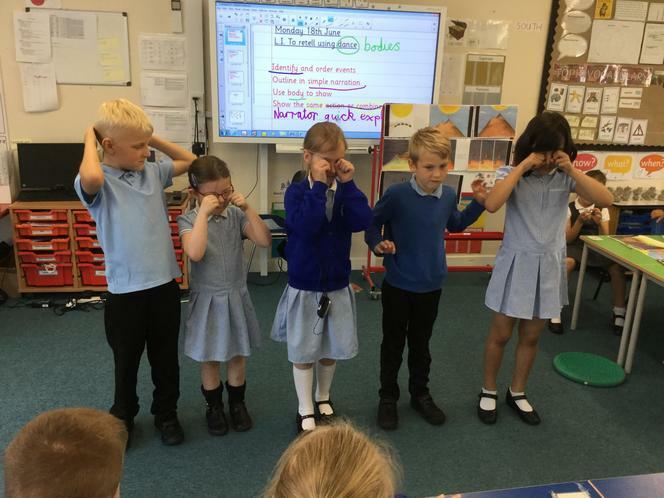 We then learnt it was the den of a fox and after describing it we thought of questions about foxes that we would like to get answered. 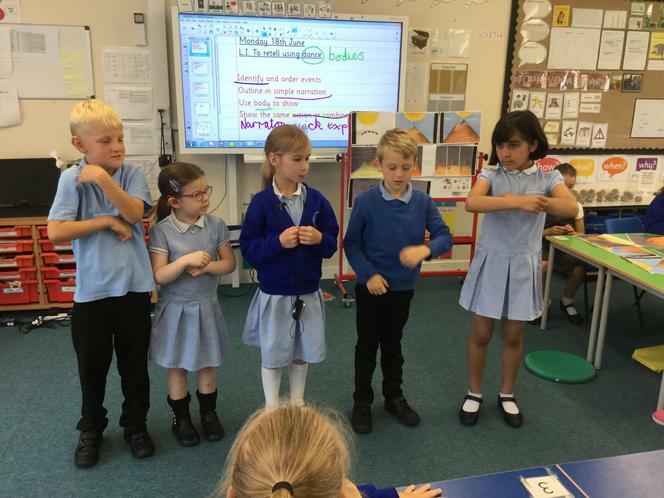 The characters in our story had a dilemma after they had found gold they were unsure whether to spend it or not to spend it. 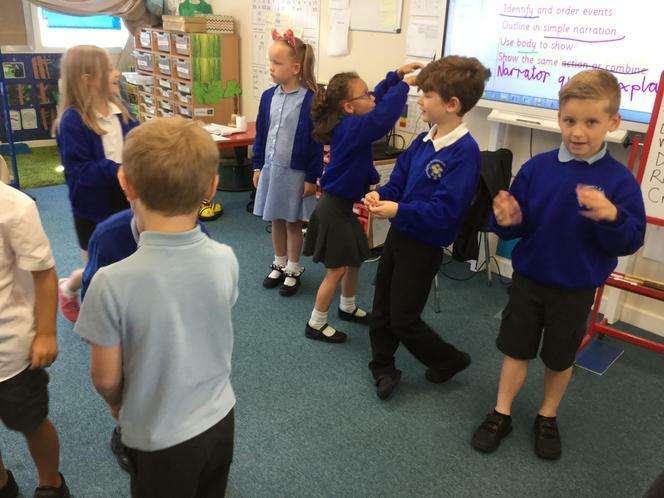 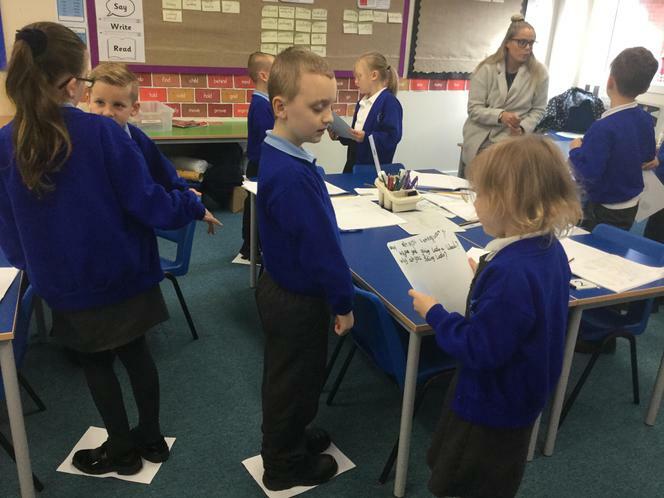 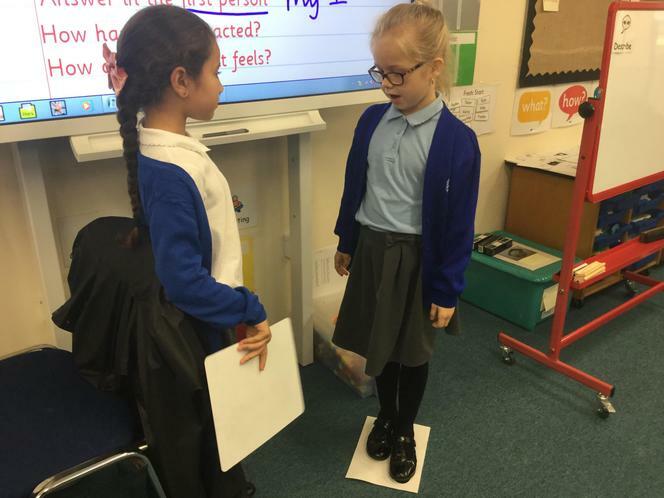 We came up with ideas then used conscience alley so we could hear all the different suggestions. 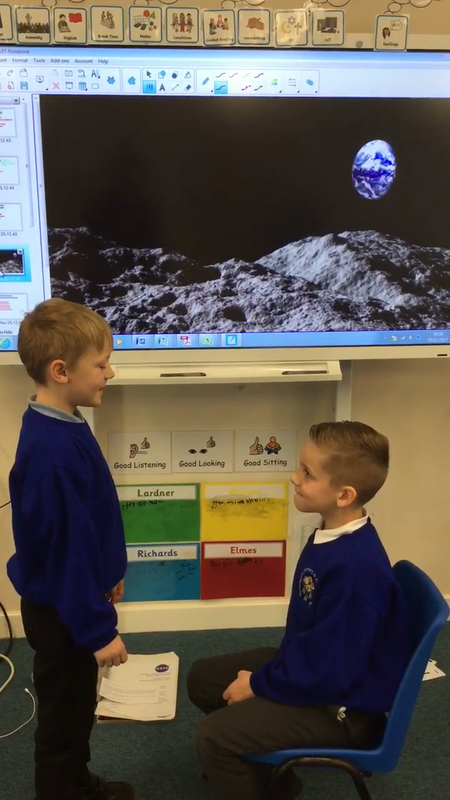 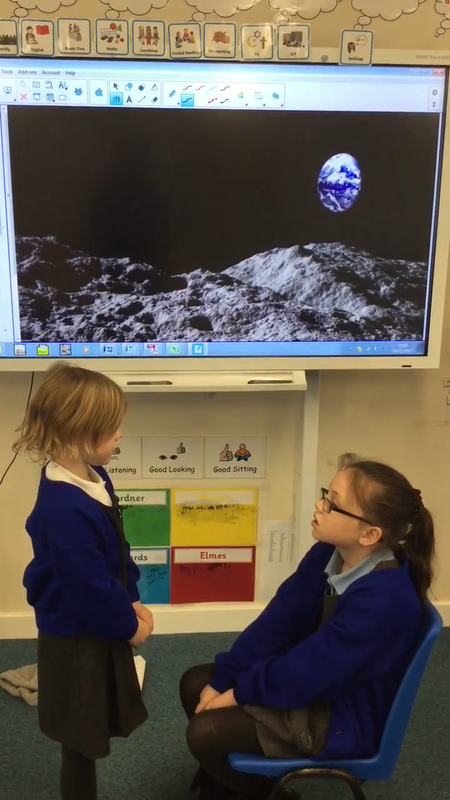 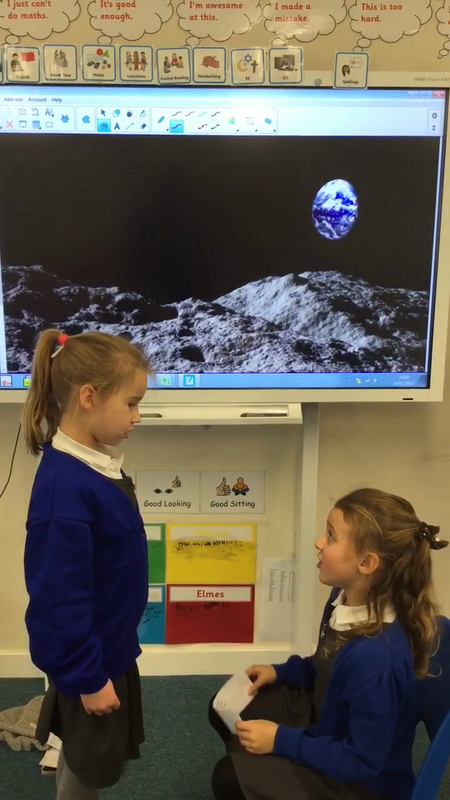 Using drama we practised sentences talking as Bob giving his guided tour of the Moon. 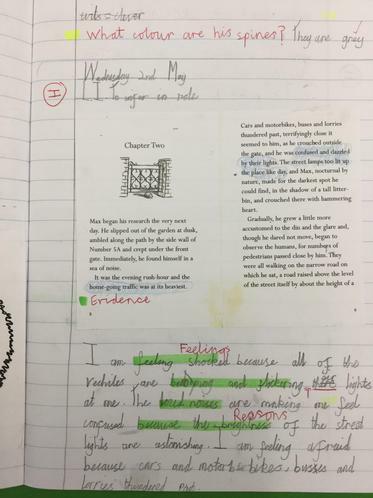 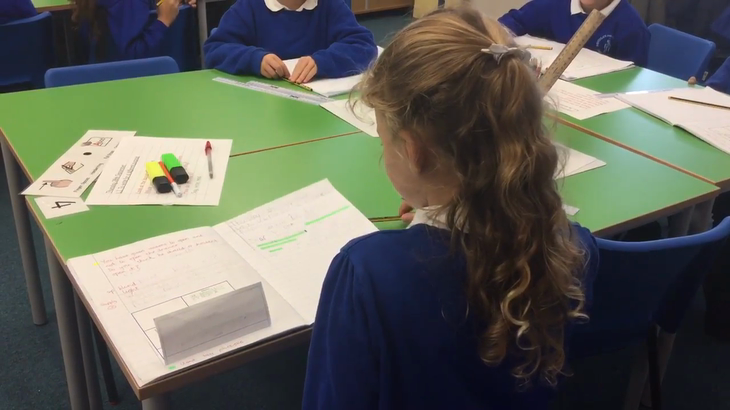 We used facts we have been learning as well as ideas from the text. 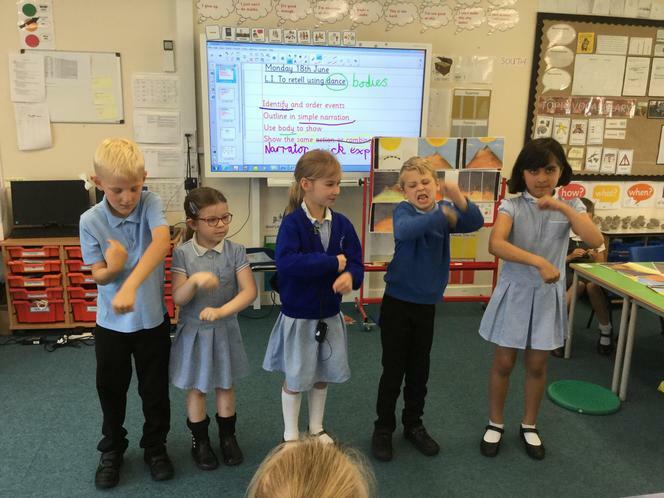 We took it in turns to be the tourist and explain our feelings. 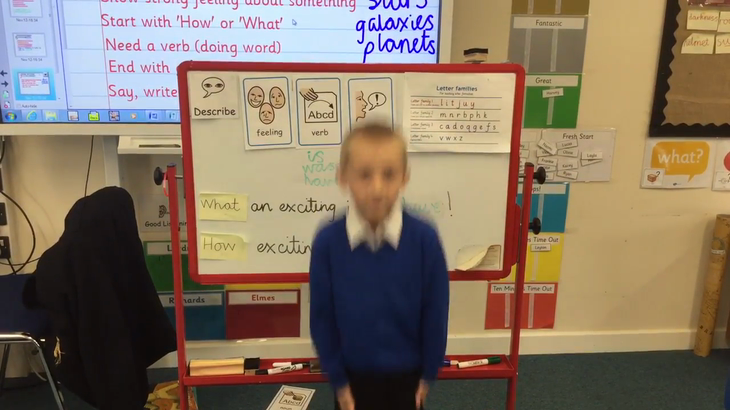 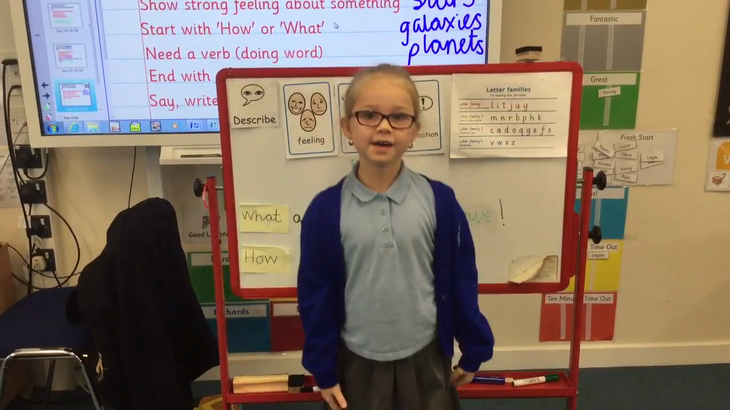 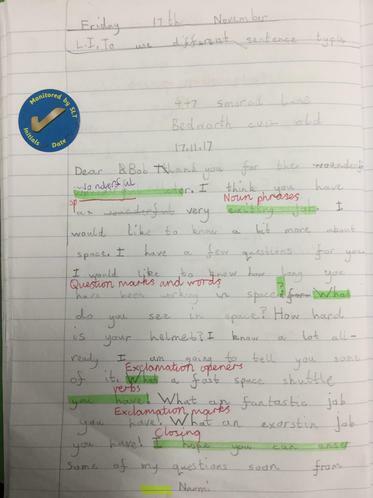 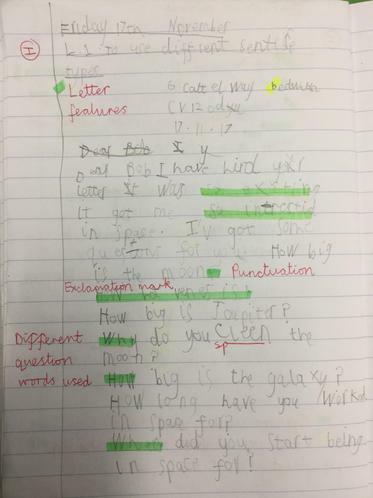 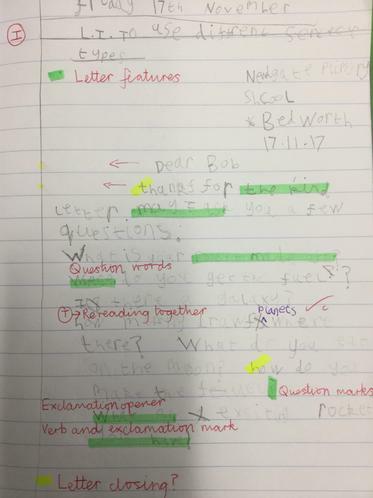 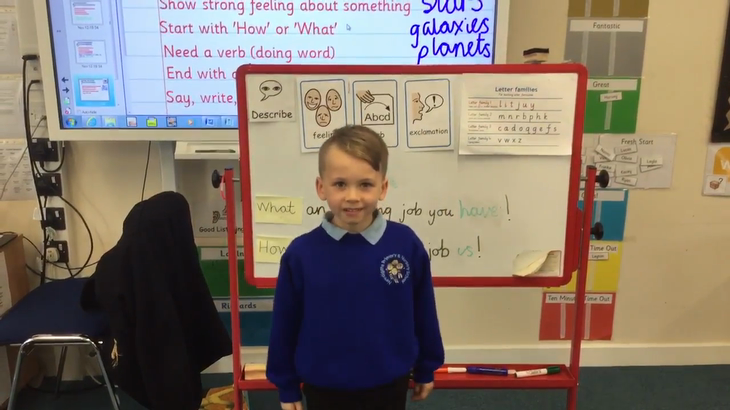 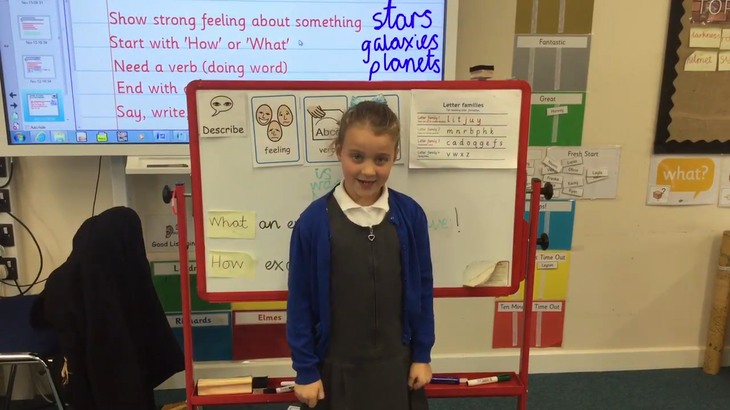 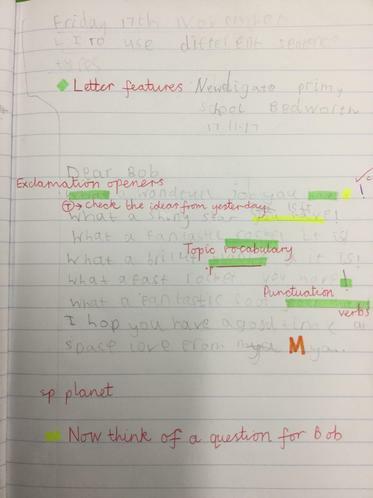 After finding a letter from Bob the spaceman we have been working on different sentence types to compose questions and exclamations in preparation for writing back to him. 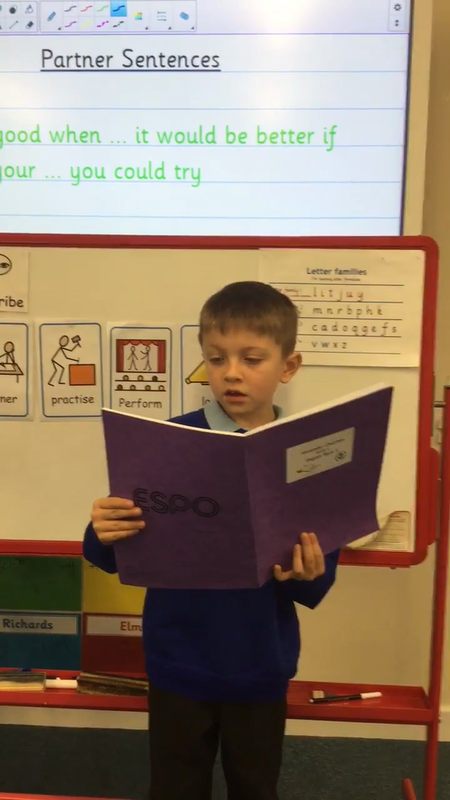 We read and discussed poems this week before writing our own. 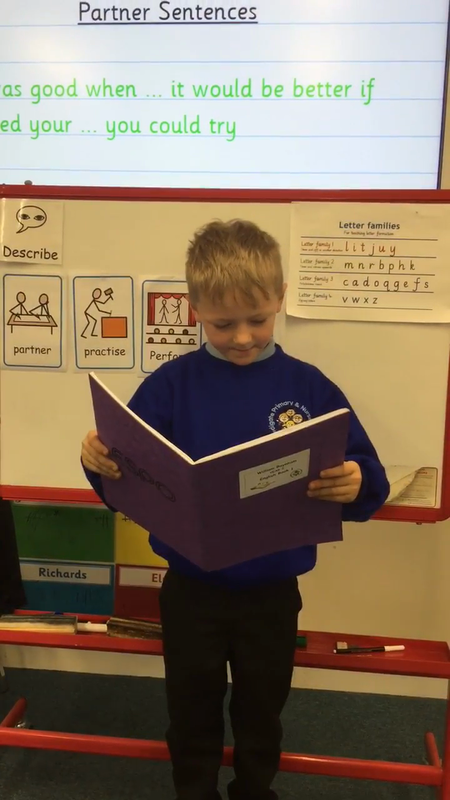 We looked at poems themed around darkness to fit in with our topic. 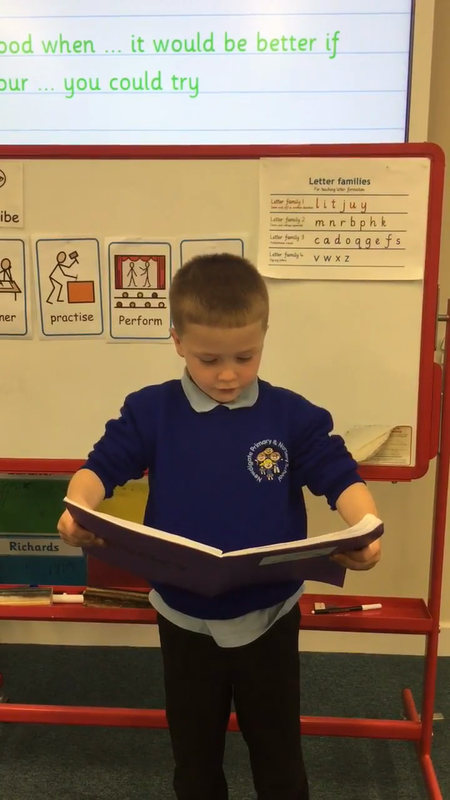 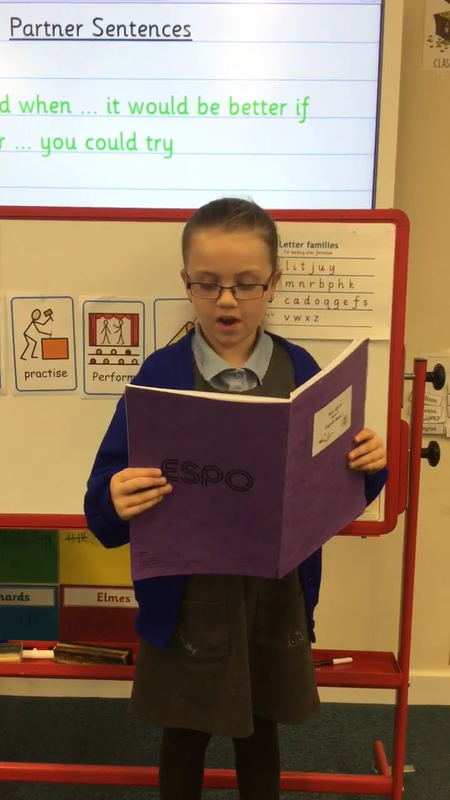 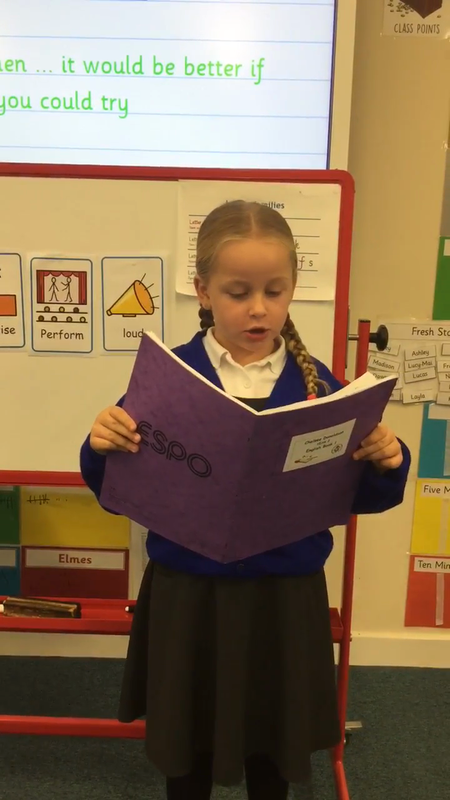 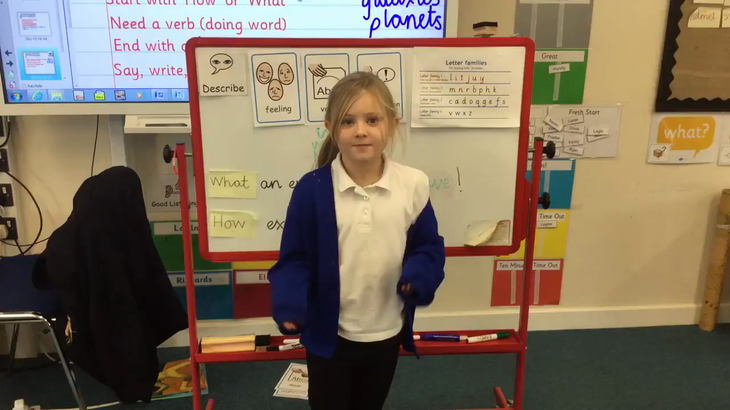 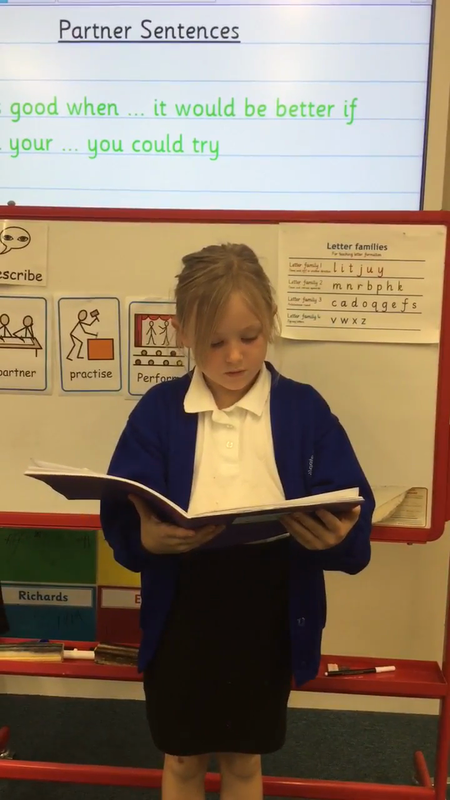 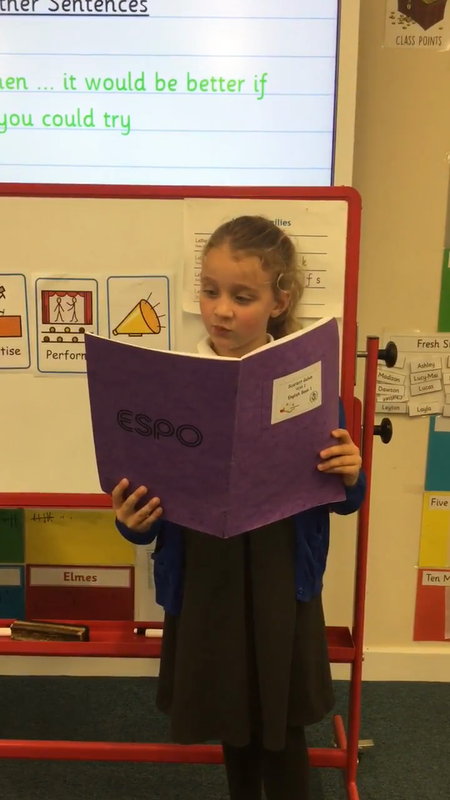 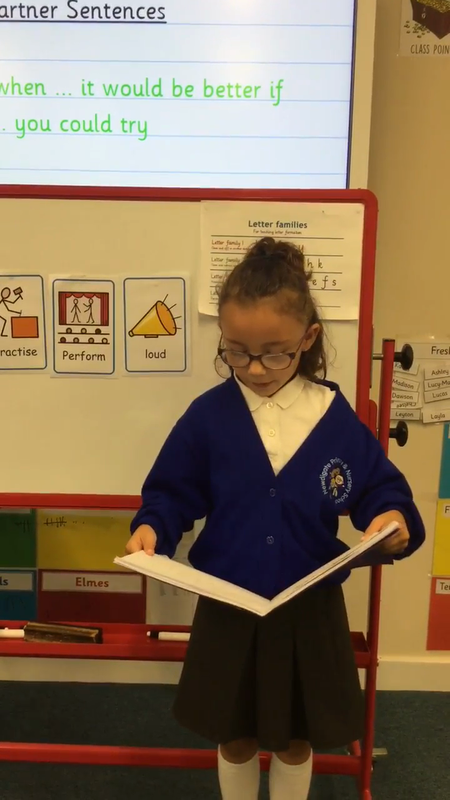 After recording key adjectives, verbs, nouns and adverbs we wrote our poems then practised performing them. 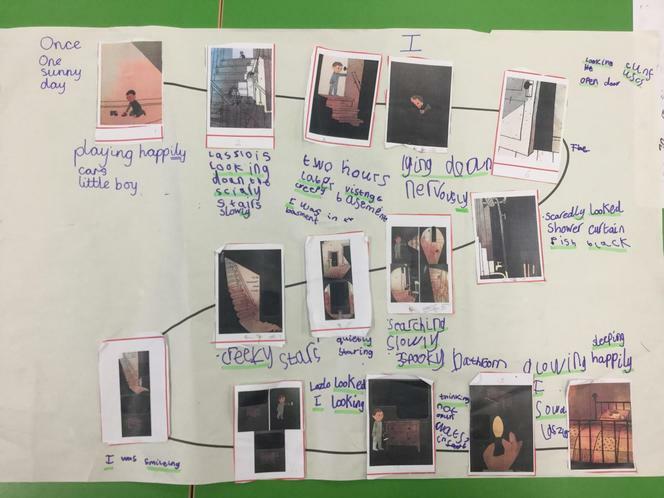 We began the week by finishing reading ‘The Dark’ before beginning to plan our stories from the dark’s perspective. 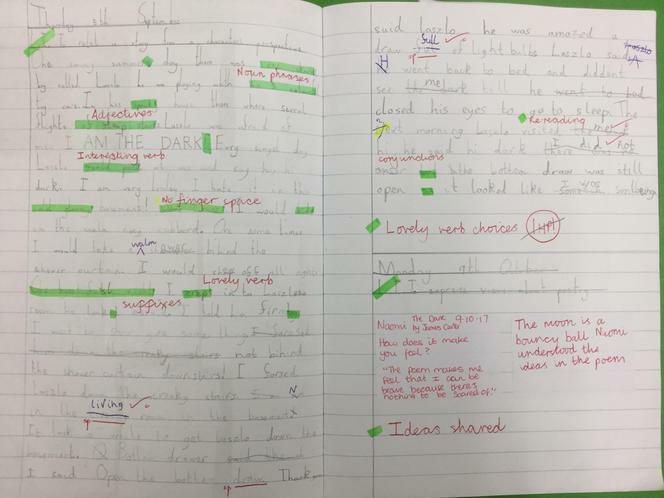 First tried to understand the dark by coming up with questions for it then getting into the dark’s shoes and answering them in role. 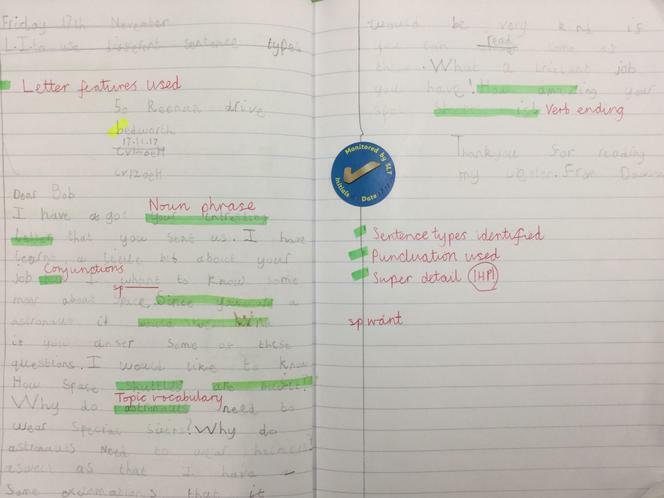 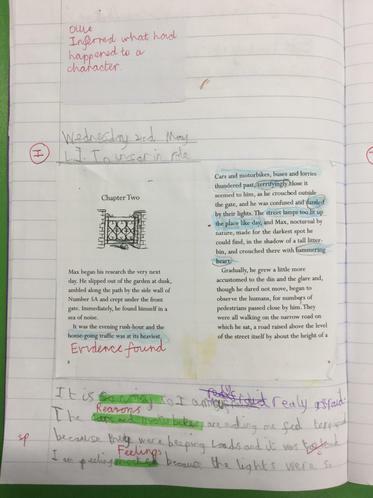 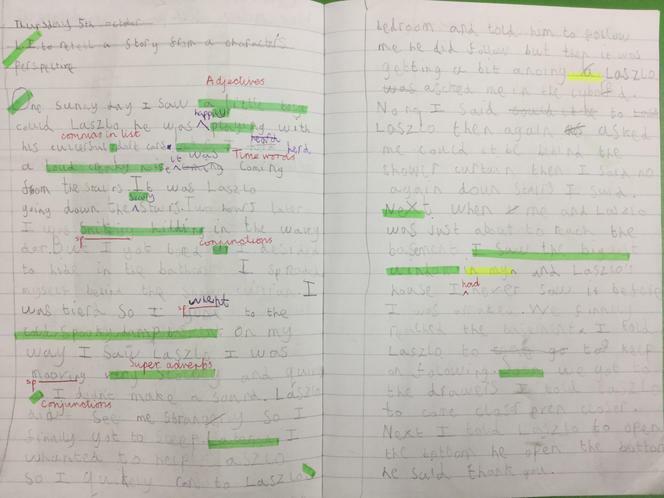 After that we sequenced the main story events before annotating them with time words and exciting adjectives. 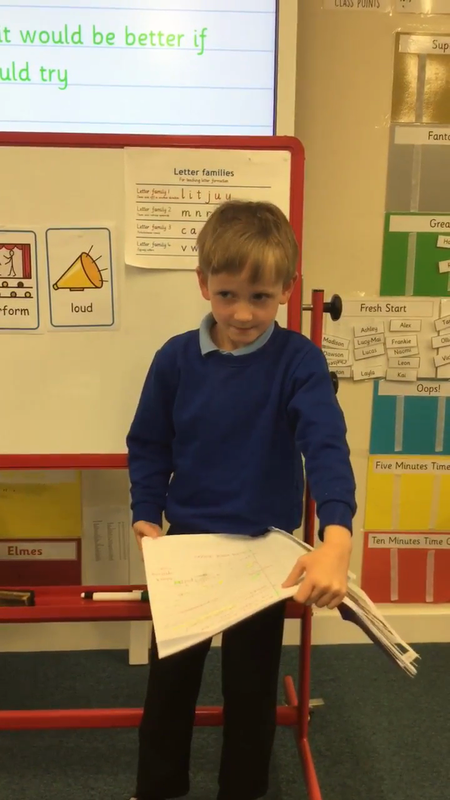 Finally we were ready to write our stories. 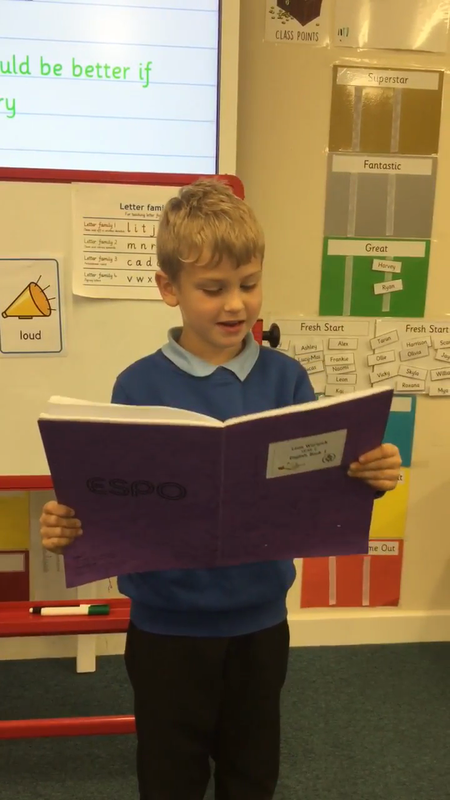 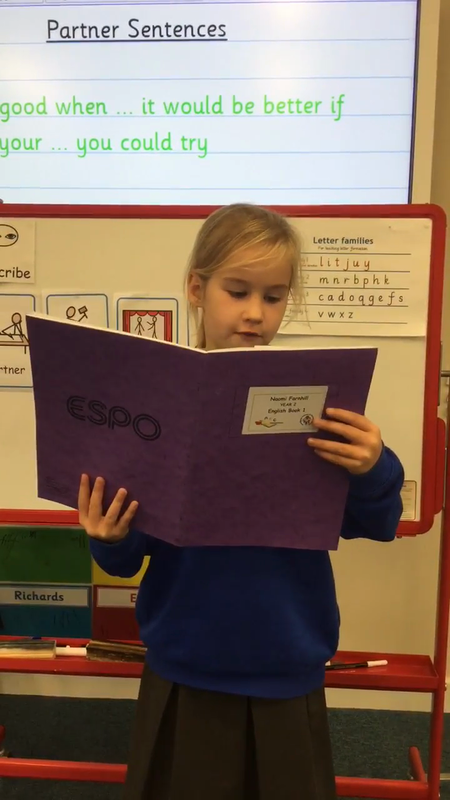 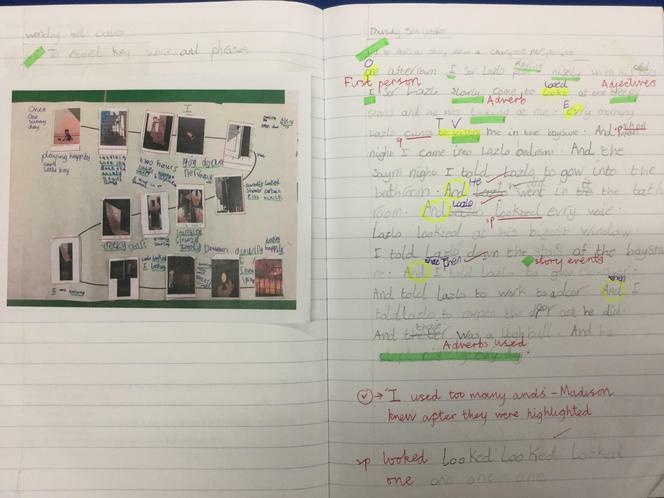 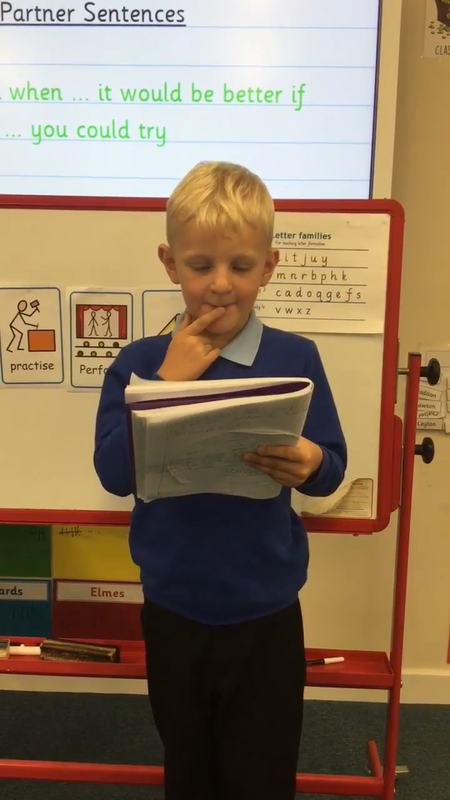 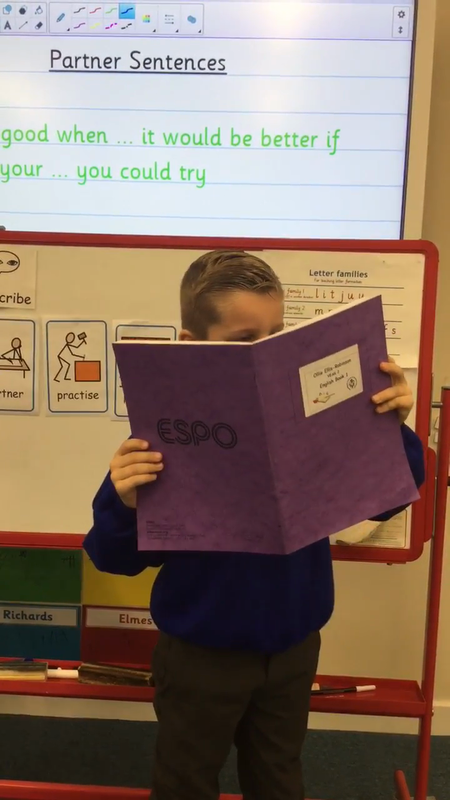 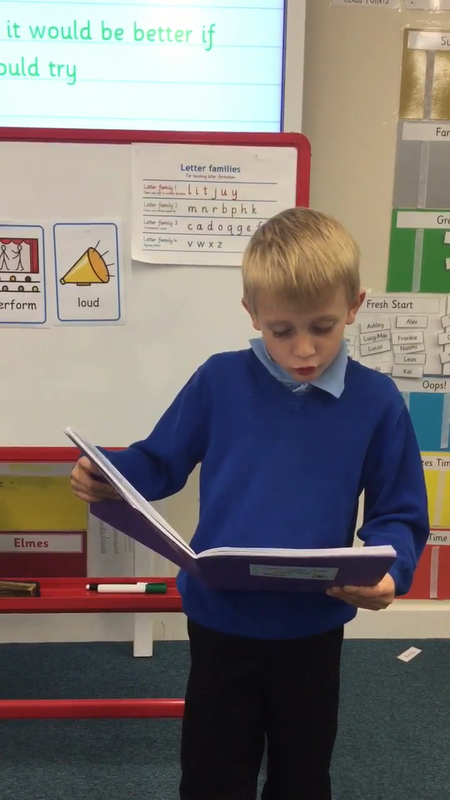 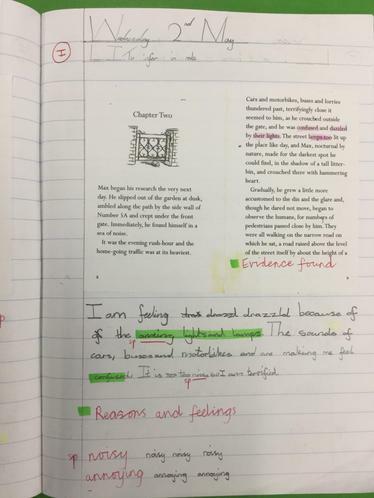 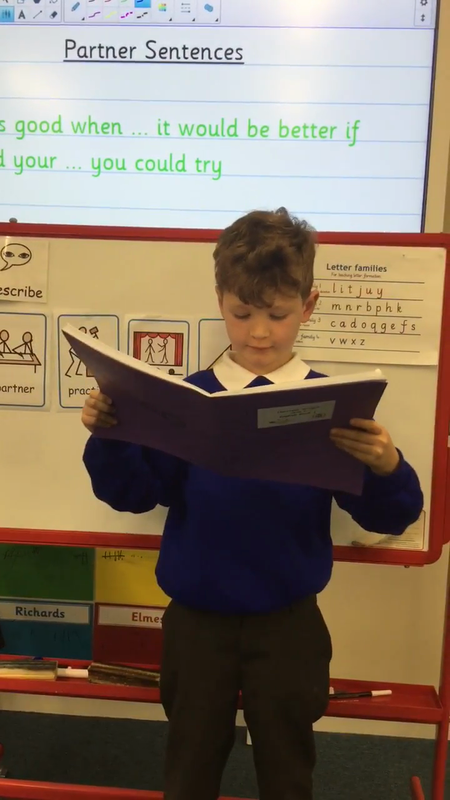 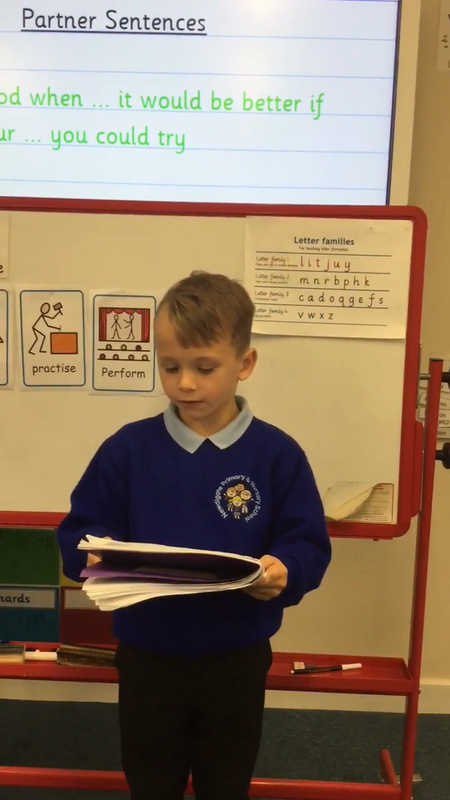 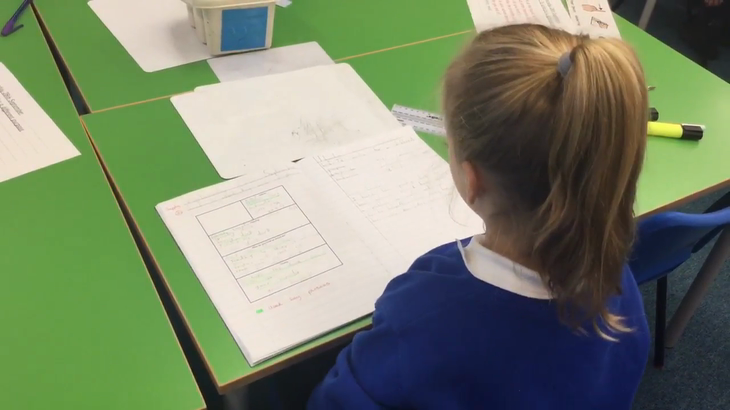 When writing our letters of advice to Laszlo, the main character of our class book ‘The Dark’ we practised reading our sentences aloud using expression and demonstrating active punctuation.